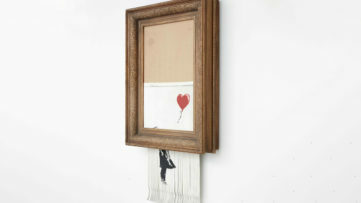 If you thought that this day will pass without a new report on Banksy’s latest engagements you, our dearest readers, are terribly wrong. 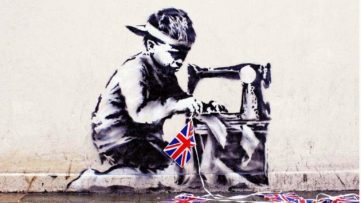 There is several news coming from the dystopian kingdom of England’s most controversial street artist. Today’s focus being – the official trailer. Trailer for Bemusement park located at Tropicana in Weston-super-Mare might be a bit late don’t you think, cause the pop-up exhibition is already open for a week. Nonetheless, let’s see how Banksy promotes his artistic endeavor in his new satirical take on commercial vacation videos. 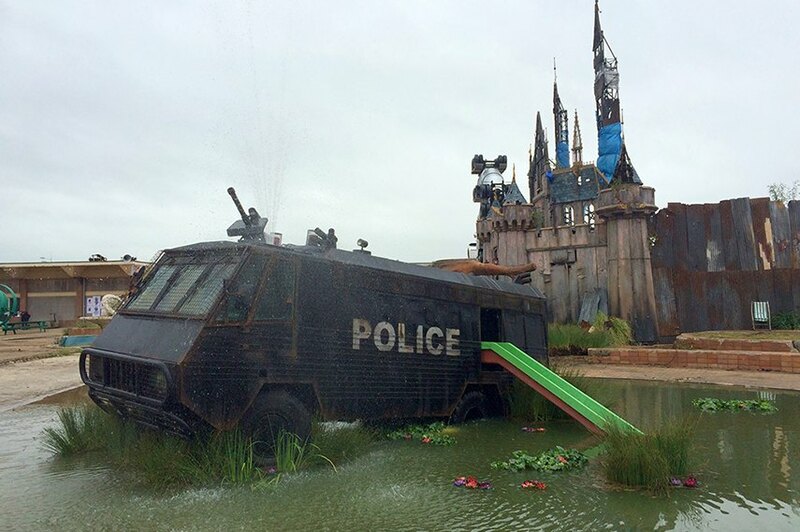 Official Dismaland Trailer is Here! So why is the video coming out now, many may wonder. Isn’t is supposed to be the way of promoting a product before it is officially out there open for the public viewing. Or is it Banksy’s way of redeeming himself for all the fans who couldn’t buy their tickets due to the crashing of the website. By now we have learned that there is nothing conventional about this pop-up exhibition, so why waste our thoughts. Our primary goal now is to see what this official trailer brings to the audience. 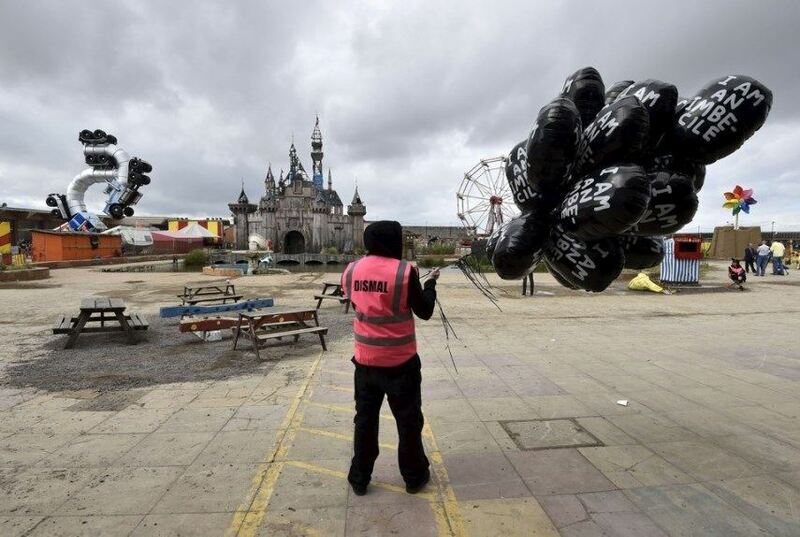 The latest video brings images of Dismaland familiar to those who have been following all recent reports. But there is a twist to the story. As mentioned before, this video is a parody of those annoying promotional vacation videos with a traditional British family in the main role. Is their life truly idyllic or is there something missing? Perhaps a visit to the “happiest place on Earth”. In the next two minutes of the video, we see a humorously presented family trip to Dismaland “a theme park like no other”. Ironically, although Banksy stated that his exhibition wasn’t suitable for children, they seem to be having much more fun than their clearly upset parents. 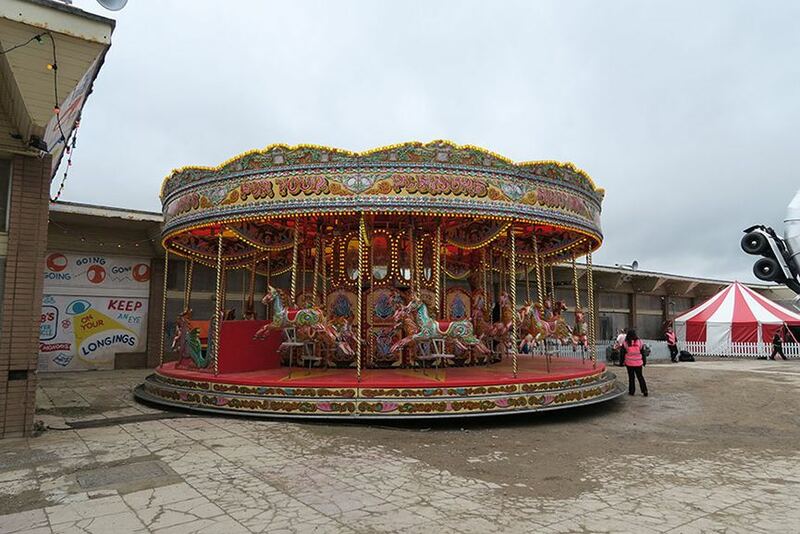 The short video finishes with the narrated light motifs of Dismaland being the place where “all your dreams come true”, and where “magic never ends”. Tickets are not the biggest problem as it seems, at least not for the Palestinian artist Shadi Alzaqzouq who was kicked out of the world of Bemusement attractions when he protested the presence of Israeli artists. After he placed a bed sheet over his work with “R.I.P Gaza: Boycott Israel” message on it, he was escorted from the Weston-super-Mare grounds. This came as a shock for the Palestinian artist who saw UK artist as his personal hero, due to his work in Gaza and advocacy for Palestinians. Unlike Shadi Alzaqzouq, his work appears to be still on the exhibition grounds until the problem is resolved. 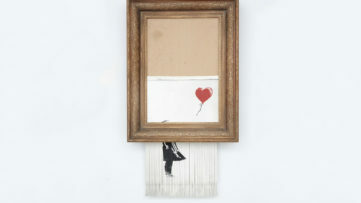 What are your thoughts on Banksy’s new work? Share your opinion on our Facebook page!